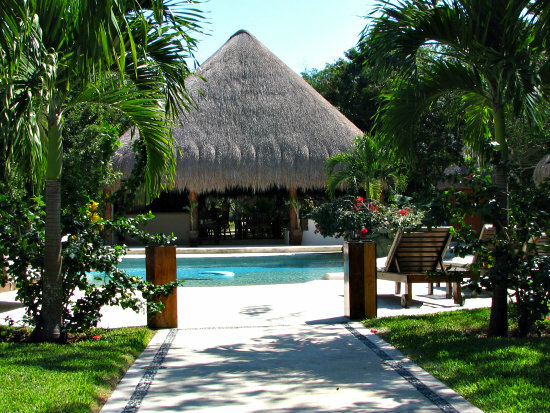 Jivana is a gem of a yoga retreat in the Mayan Riviera, Mexico. 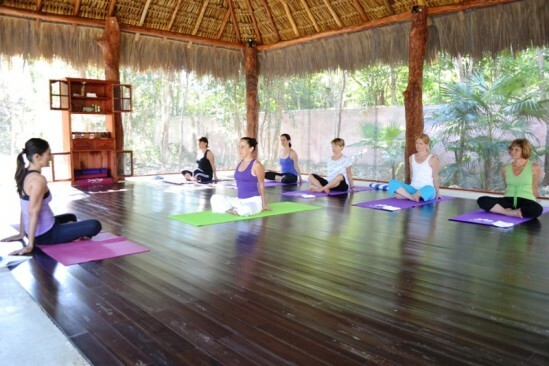 Nestled in the jungle about 25 minutes south of Playa del Carmen, you will find the gem that is Jivana, a yoga retreat in the Mayan Riviera. I was lucky enough to spend the day their last weekend, it was like a mini-yoga holiday! From the moment I set foot on the grounds, I already felt more at peace. Surrounded by the jungle, hearing the cascading waterfall in the pool combined with the chirping birds me a more relaxed version of me. Ileana is the owner and main yoga instructor. She radiates calm and happy and it is contagious. If I could be half as calm as she is I would be om-ing my way through life. She is a certified yoga instructor and has many years experience. I have to say that I have not been practicing yoga for very long and am still at a beginner’s stage. So far, I love yoga: the way it calms me, the way my body feels after stretching and most of all how it is teaching me to be patient with myself and my body. If you can teach me patience, you can bet I will tip my hat to you. If you haven’t tried yoga, do it. The class I took was made up of every level, from my novice yoga to another yoga teacher that was participating in the class. Ileana’s teaching guides you easily to the next posture and can intensify your practice regardless of your level of competence. After the hour’s class, Ileana took us on a guided meditation. I’m not gonna lie; I fell asleep. For someone who is not a “good” sleeper, let me tell you I slept like a baby for what felt like at least an hour when it was only 20 minutes. That being said, the point of the guided meditation is not so you can sleep, and those who did remain awake were refreshed and very “zen” after the session. Although I was only there for the day, you can rent accommodation on site, join a planned yoga retreat, or even arrange with them to plan your own retreat. Jivana has houses and rooms available right on the grounds and you can also rent houses in a nearby complex. 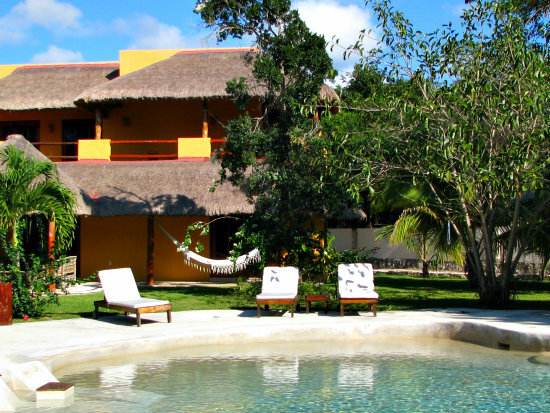 Each house is 3-bedroom, furnished and equipped including a kitchen. If you prefer not to cook, there are options for catered meals and a common lounge area on site. The prices for accommodation and meals are very reasonable.